Tune in today, Thursday June 26th at 4PM EDT/3PM CT/2Pm MT/1PM PT to “There’s A Rock For That!” radio show. 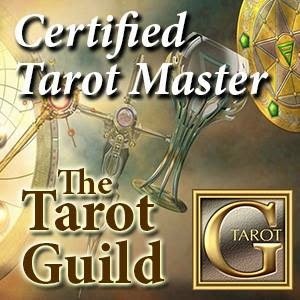 Today I will be discussing some fun and simple ways to create your own crystal oracle using easy to find and inexpensive stones. My “Crystal Guest” today is Fluorite. I will explore the folklore, metaphysical properties and healing applications of fluorite. I will be sharing some of my own personal observations about Fluorite during the “A Rock For Your Thoughts” segment. Tune in to the show by going to this link: http://lifescaperadio.com/live at 4PM ET/3PM CT/2PM MT/1PM PT on Thursday June 26th, 2014 where you can join the fun in the chatroom on the page. If you’d prefer to listen to the show live on your phone, you can do so by calling 657-383-0827 – remember to press “1″ if you would like to call in to the show with an on air question about crystal oracles, crystals in general, or would like a free mini Crystal Reading! In addition to having Margaret Ann Lembo as a guest on tomorrow's episode of "There's A Rock For That!" 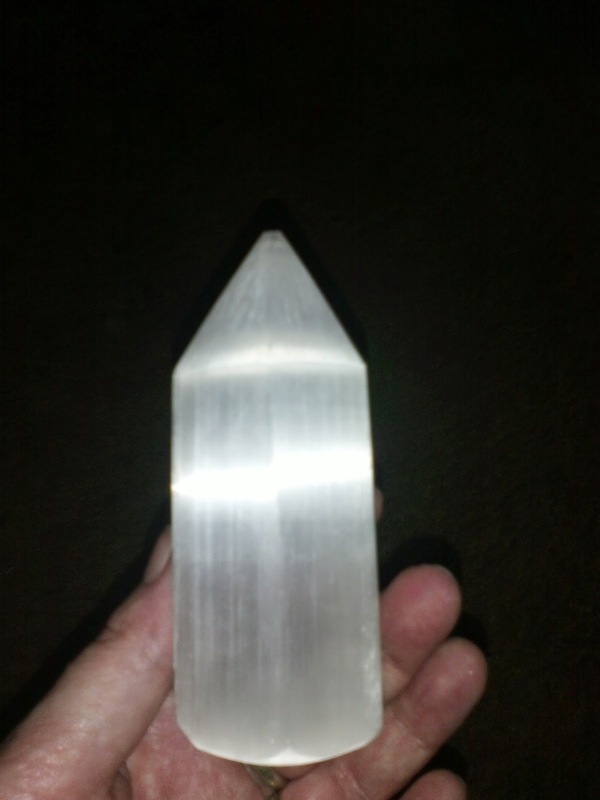 radio show, Selenite will be the "Crystal Guest". 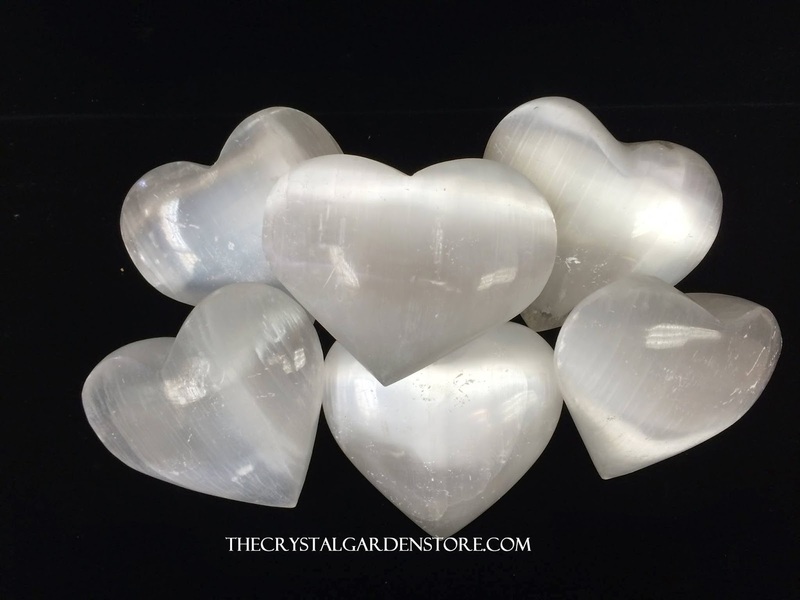 Selenite has such a wonderful energy and is one of my favorites. Selenite is the stone that I find the most helpful in creating sacred space -- I lovingly refer to it as my "white light stone" and I will be going more in depth on the show on the various ways in which it has been a blessing in my life as well as the folklore, metaphysical properties and healing applications associated with Selenite. If you're a regular listener to the show, then you know that I like to give my guests the opportunity to choose the "Crystal Guest" to be on the show with them. I do that because I love the idea of sharing space with the people and beings with whom we feel a resonance. I can't wait to hear what Margaret has to say about Selenite! And, Margaret has a special surprise offer for those who tune into the show tomorrow!!!! You have to tune in to the show to get this wonderful opportunity! I'd tell you more about it... but, then it wouldn't be a "surprise!" So make sure you don't miss the show or you'll miss out and that would be a bummer. And, we're not just going to be talking about crystals. 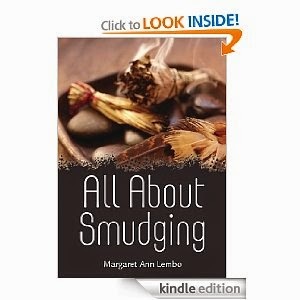 I'm very interested in what Margaret has to say about smudging, essential oils, color therapy, and using guided meditations. She has provided us with so much helpful information in different areas of metaphysics through her published works. Oh my --so much to talk about it with our fabulous guest! Tune in to the show by going to this link: http://lifescaperadio.com/live at 4PM ET/3PM CT/2PM MT/1PM PT on Thursday June 19th, 2014 where you can join the fun in the chatroom on the page. If you’d prefer to listen to the show live on your phone, you can do so by calling 657-383-0827 – remember to press “1″ if you would like to call in to the show with a question for Margaret about crystals, or any of her fabulous books and CDs! I am over the moon excited about this week's episode of There's A Rock For That! radio show!!! 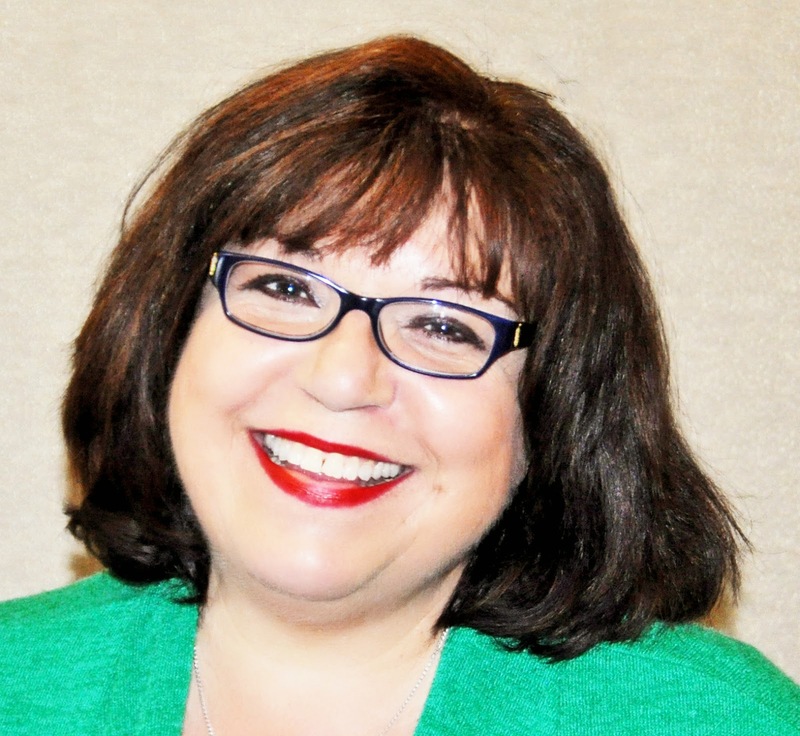 My guest this week is Margaret Ann Lembo, author of one of my favorite books, Chakra Awakening. The episode will air live at 4PM ET/3PM CT/2PM MT/1PM PT on Thursday, June 19, 2014. This is a show you do NOT want to miss. We will be talking crystals, aromatherapy and much more! 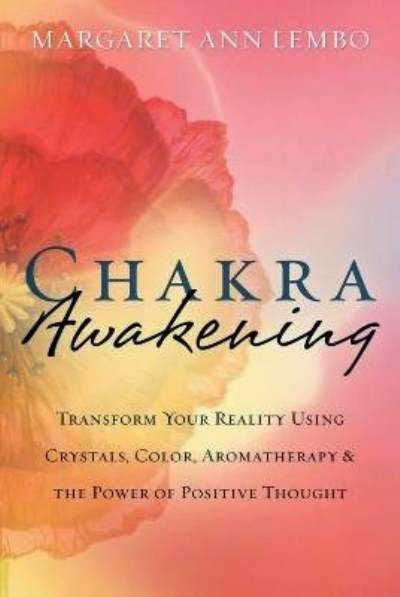 Margaret Ann Lembo (Boynton Beach, FL, USA) is the award winning author of best-selling Chakra Awakening (now in 5 languages! 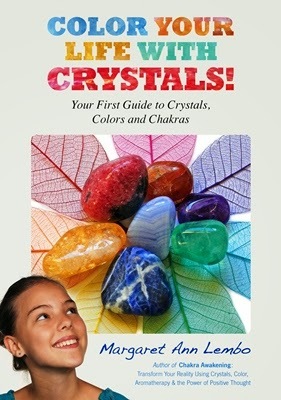 ); The Essential Guide to Crystals, Minerals and Stones (Llewellyn Worldwide) and Color Your Life with Crystals: Your First Guide to Color, Crystals and Chakras (Findhorn Press). She is also the creator of the Angel Gemstone Oracle Cards. For more than twenty-five years, she has led workshops and classes around the country and Canada. Margaret Ann Lembo is the author of Chakra Awakening; The Essential Guide to Crystals, Minerals and Stones; the Angel Gemstone Oracle Cards and Color Your Life with Crystals and seven spoken audio CDs. She is the creator of a line of award winning Aroma-Energetic Sprays including Smudge in Spray™ and the seven Chakra Sprays. She is a spiritual entrepreneur and practitioner, aromatherapist, and the owner of The Crystal Garden — a book store, gift store, and spiritual center in southeast Florida. I will be discussing how to use crystals to cleanse your energy. 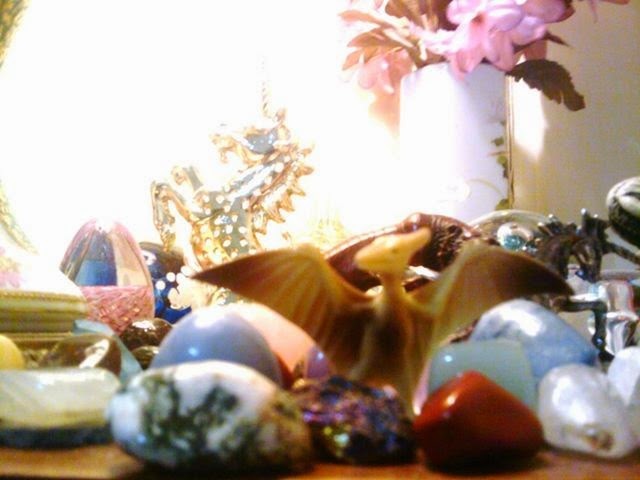 Plus, I will explore many ways in which you can cleanse the energy of your crystals. My crystal guest this week is Citrine! Tune in by going to this link: http://lifescaperadio.com/live at 4PM EST on Thursday June 12th, 2014. If you’d prefer to listen to the show live on your phone, you can do so by calling 657-383-0827 – remember to press “1″ if you would like to call in to the show with a question about the show’s topic or if you’d like a free mini crystal consultation! P.S. Remember to join the Facebook Group for the show https://www.facebook.com/groups/arockforthat/ – we’re really rock-ing over there! Find Out How to Shield Your Energy! Join me Thursday, June 5, 2014 at 4PM EST for this week's live broadcast of "There's A Rock For That!" radio show. We'll be discussing how to shield your energy and why it's important to know how to do it. We'll go over several different techniques and options for protecting yourself from those "Energy Vampires" who just make you feel drained. 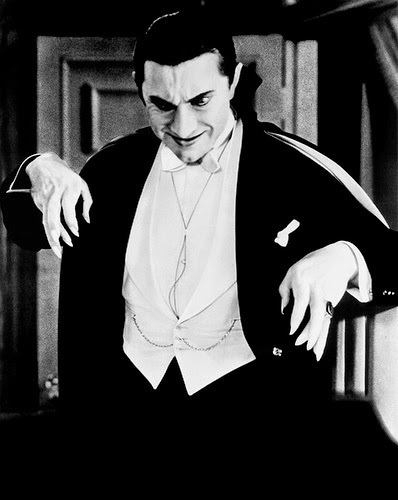 It may sound funny, and even the term "Energy Vampire" may sound a bit extreme. But, it is truly a very serious subject indeed. Ask yourself this -- Have you ever been around someone that just seems to "take it out of you?" And, after you've spent any length of time with this person, do you actually feel depressed, guilty, tired, stressed or even suddenly have a headache? It can be quite difficult not to be adversely affected when it comes to your own state of mind, physical well-being, sense of inner peace and happiness when you have to deal with that type of person. If you suspect that someone in your life is draining your energy, take the "Energy Vampires" quiz at Psych Central. It will give you an idea of how toxic someone in your life may be to you, as well as give you an idea of how well-equipped you are to handle it. Here's the link to the online quiz: http://psychcentral.com/quizzes/vampires-quiz.htm. Energy Vampires are not the only things we need to be able to shield ourselves from. Sometimes an event or circumstances in our life can be much more easily navigated if we practice shielding techniques. Our Crystal Guest is Hematite. 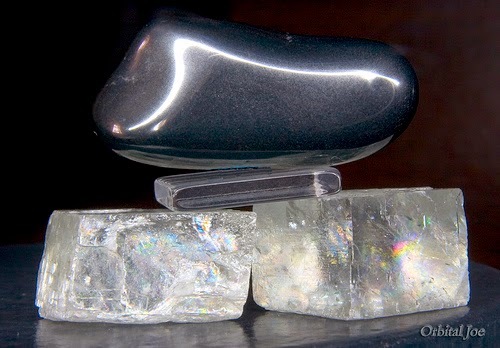 We'll discuss how Hematite can work as a shield for you. We'll examine various other uses for Hematite and explore the legends and folklore surrounding it. You can also listen on your phone during the show by calling 347-637-3372 -- remember to press "1" if you want to be on the air and ask a question about the show topics. I'd love to hear about the techniques you use to shield your energy and the ways you like to incorporate hematite into your life. Or, if you want to call in for a free on air mini crystal consultation, I'm happy to take your call! If you can't make the live show, don't worry. It will be added to the radio archive on the right side of the homepage.